The Partnership for Coastal Watersheds wants to know about your needs, concerns, and desires for the future management of the Coos Bay estuary. 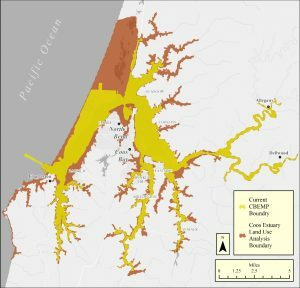 This survey is intended to give you an opportunity to provide feedback on preliminary recommendations developed by local stakeholders (via focus groups) for the Coos County Board of Commissioners, City of Coos Bay and City of North Bend to consider when updating the Coos Bay Estuary Management Plan (CBEMP). Your responses will help to determine if the greater community agrees or disagrees with the proposed recommendations. Please include additional comments at the end of the survey as all information will be included in a final report. The Partnership for Coastal Watershed (PCW), in collaboration with Coos County and South Slough Reserve, recently received $246,000 from the National Estuarine Research Reserve System’s (NERRS) Science Collaborative Program to assist the County’s Planning Department to update environmental and community data related to the Coos Bay Estuary Management Plan (CBEMP). Some parts of the CBEMP have not been updated for 40 years. 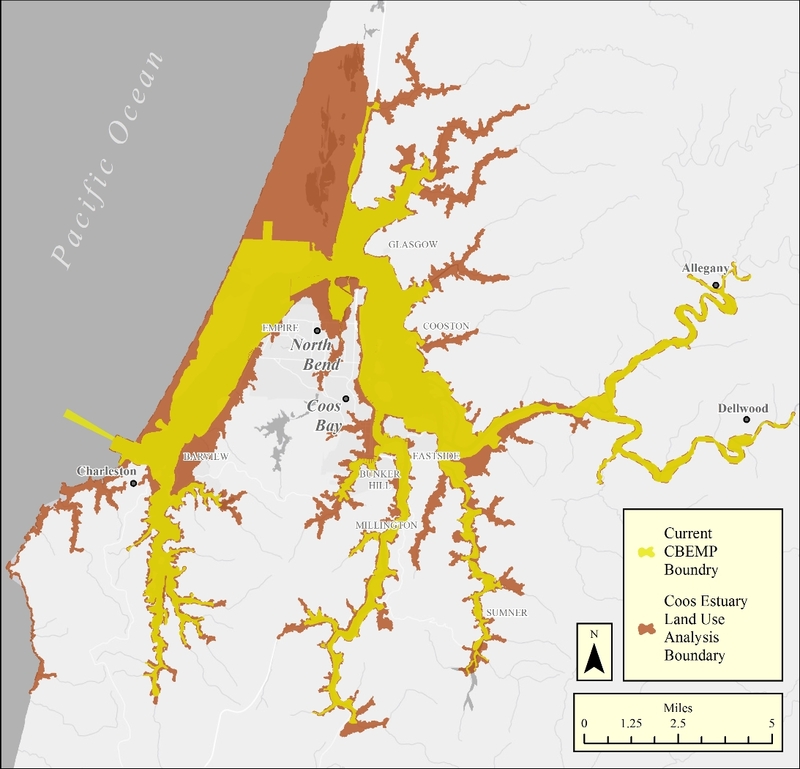 The Coos Estuary Land Use Analysis Project (Project) will provide the County with up to date information (e.g., current land ownerships, designated land uses, natural hazards) to improve the CBEMP’s permitting and resource protection processes; data that will also be critical to the County’s future revision of the CBEMP. The project will also assemble and articulate land use recommendations as proposed by local stakeholders from economic development, natural resource protection, and socio-cultural perspectives. The Project creates no financial burden to Coos County, and does not make land use decisions or advocate for or against any particular project.